“You failed,” shared the nurse to me on the phone after my prenatal glucose screening test. I was crushed. Disappointed. Frustrated. And fearful of what might be at risk for me - and more importantly, for my baby. I had just completed the 1-hour glucose screening test for gestational diabetes, which involved drinking 50 grams of glucose (a sugar) within 5 minutes, waiting patiently for an hour, and receiving a one-time blood draw to test how much sugar was still circulating in my blood instead of being transported into my cells, as it should. It’s a test that is routinely recommended to pregnant women sometime between their 24th and 28th week of pregnancy. Ideally, shared the nurse, my blood glucose number should be in the 130s. Mine was 190. I realized then that not only did I fail, I failed by what I considered to be a large margin. I was shocked. Throughout the prior 25 weeks of my pregnancy, I strived to achieve balance in my food choices. Despite multiple food aversions in my first trimester, I found nutritious alternatives. I enjoyed fresh fruit, drank smoothies with vegetables, ate whole grains, incorporated nuts and seeds, and ate beans, yogurt, and eggs. I occasionally included sweet treats, of course, but more importantly, I listened in to my own hunger and fullness cues - eating when I was hungry and stopping when I was satisfied. 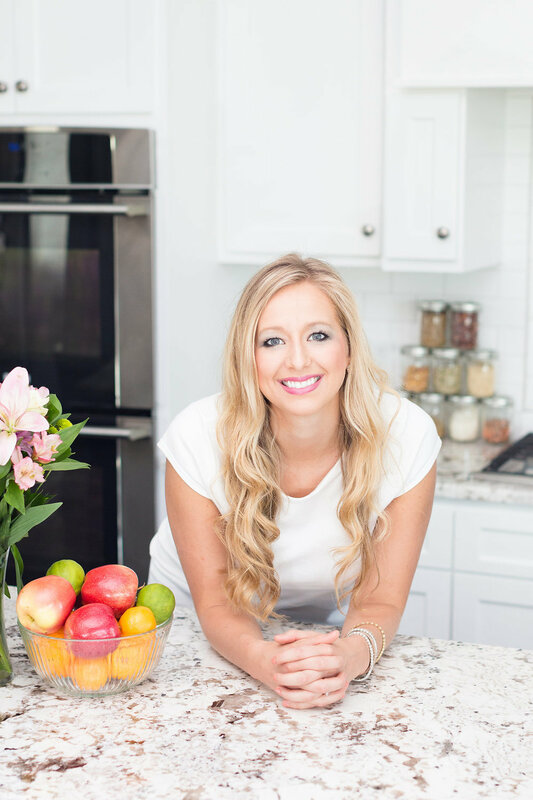 I knew that when it came to calories, I really didn’t need to be “eating for two” and when it came to nutrition, I needed to choose the foods to support my health and that of my baby’s. I was doing my best. But when I heard the news that I failed my screening test, I thought that I had done something wrong. I just didn't know what. I felt embarrassed - naively thinking, I am a dietitian after all, how could this happen to me?! - and confused. “You’ll have to go into the hospital for a 3-hour oral glucose tolerance test with 100-grams of glucose to see if you have gestational diabetes and we encourage you to do it within the next 5 days,” the nurse instructed. As a total Type-A new mom, I scoured the internet for answers. I searched PubMed and Google Scholar for peer-reviewed research. I reread sections of my nutrition textbooks from grad school and intently looked at position statements from the American College of Obstetrics and Gynecology and the Academy of Nutrition and Dietetics. I even went to the pharmacy to purchase a blood glucose meter and test my blood sugar on my own. I read message boards written by other mommas who were in my same position. I realized that, in failing my 1-hour glucose screening test, I wasn’t alone. Coupled with the stress of the unknown, in the days before I took my 3-hour oral glucose tolerance test (which would involve twice the amount sugar and four more blood draws! ), I had so many questions. So, after I failed my 1-hour glucose screening test, I searched for answers. Gestational diabetes mellitus (GDM) is a condition that happens when a pregnant woman - not formerly diagnosed with diabetes - develops high blood sugar levels during pregnancy. Normally, insulin, a hormone, is secreted by the pancreas to help get blood sugar inside your cells to be used as energy. However, during pregnancy, rising hormone levels that serve to help grow baby also impair the action of insulin, which means that blood sugar rises too. Why is gestational diabetes a concern during pregnancy? What is the prevalence of gestational diabetes in the US? What can I do to avoid gestational diabetes? However, no matter a woman’s size or presence of other risk factors, eating well and exercising often prior to and during pregnancy can help a woman achieve better health during pregnancy. Is the 1-hour glucose screening test for gestational diabetes accurate? But, keep in mind that the 1-hour screening test is simply that: a screening test. It is rarely used as a diagnostic test alone, especially if results are <200mg/dL. If results come back outside of normal limits, the 1-hour test is routinely coupled with a more extensive 3-hour glucose tolerance test. For me, it seemed as though I had around a 6 in 10 probability of being diagnosed with gestational diabetes and a 4 in 10 chance of not. Though my 1-hour glucose test came back high and a gestational diabetes diagnosis could indeed result, that 1-hour test alone was not indicative of gestational diabetes. What blood glucose values are considered abnormal during the 3-hour oral glucose tolerance test? What can you do about a gestational diabetes diagnosis during pregnancy? If a mom-to-be is diagnosed with gestational diabetes, a medical nutrition therapy and physical activity is considered the first-line of treatment! (4) Mom can and should work with a Registered Dietitian Nutritionist (RDN) to put a plan in place to help achieve better blood sugar balance, to gain a healthy amount of weight during pregnancy, and to make sure mom and baby get a steady supply of essential nutrients during pregnancy. Mom should also monitor her blood sugar daily to better understand if normal blood sugar is maintained or if further treatment - like insulin therapy - is needed. What can i eat if i have gestational diabetes? Your eating pattern may change a lot (or just a little bit!) if you have gestational diabetes. In your appointments with your RDN, you’ll be asked about all things related to food and nutrition including the foods you eat, any recent changes in appetite, where/how you eat, your access to food, how you prepare food, and your readiness to change. Your RDN will then work with you to put a plan in place for you moving forward - which will include eating a balanced amount of carbohydrates, proteins, healthy fats, and fiber. Yep, you read that right…gestational diabetes does not mean that you have to give up all carbs! In fact, many carbs deliver important components to growing a healthy baby. Your RDN will work with you to help optimize all aspects of your eating plan - including carbohydrates. So, was I diagnosed with gestational diabetes? Despite failing my 1-hour blood glucose screening, I passed all 4-tests included in the 3-hour blood glucose tolerance test and I was not diagnosed with gestational diabetes. And, results from my at-home blood glucose monitor continue to show blood glucose numbers in normal ranges after I’ve fasted and after I’ve eaten meals. I am thankful - yet I leave the gestational diabetes screening journey changed. I understand that a failed medical test is not just a failed medical test and a diagnosis of gestational diabetes is not just a diagnosis - it can all be scary and overwhelming. Yet, it can also be an opportunity - an opportunity learn more about the condition itself, yes, but also to learn more about ourselves and about others. As I sat in the waiting room of the hospital the day of my 3-hour test, nervous for my results, I saw three moms leaving the hospital with their newborns in their lap and I understood this: this test was not about me…it was not a measure of my effectiveness as a dietitian, my value as a person, or an assessment of how I’ll be as a mom. 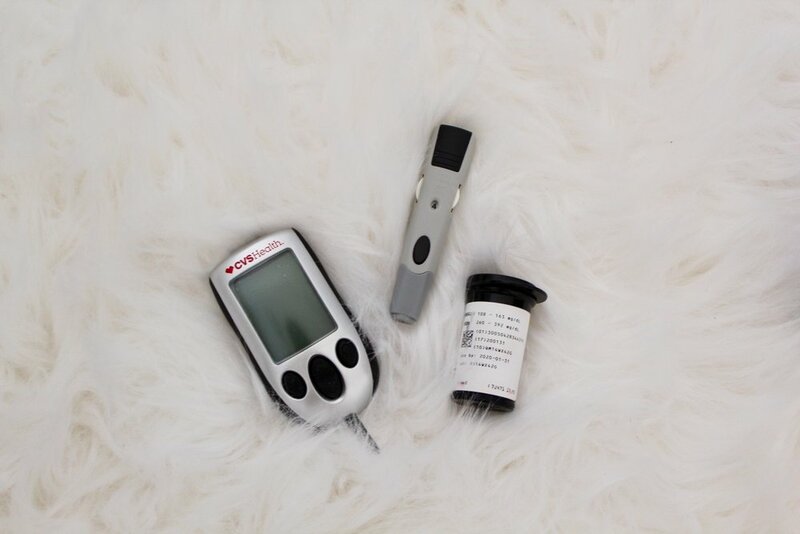 The prenatal blood glucose screening test was simply there to help us - me, my husband, my doctor, and my medical team - know what to do next to continue to nourish and care for a healthy baby…and at the end of the day, that’s what’s most important to me anyway. 1. Metzger BE, Coustan DR. Summary and Recommendations of the Fourth International Workshop-Conference on Gestational Diabetes Mellitus. Diabetes Care. 1998 Aug;21(Suppl 2):B161–7. 2. DeSisto CL, Kim SY, Sharma AJ. Prevalence estimates of gestational diabetes mellitus in the United States, Pregnancy Risk Assessment Monitoring System (PRAMS), 2007-2010. Prev Chronic Dis. 2014;11:E104. 3. Tita ATN, Landon MB, Lai Y, et al. Predictive Characteristics of Elevated 1-Hour Glucose Challenge Test Results for Gestational Diabetes. American Journal of Perinatology. 2017;34(14):1464-1469. doi:10.1055/s-0037-1604243. 4. Duarte-Gardea MO, Gonzales-Pacheco DM, Reader DM et al. Academy of Nutrition and Dietetics Gestational Diabetes Evidence-Based Nutrition Practice Guideline. 2018 September;11(9):1719-1742.